The International Award For Young People (IAYP) promotes the Award, provides young people with the Award programme and preserves the quality of the Award. It brings together practical experiences and skills to create committed global citizens and equips young people for life. The vision of IAYP is to engage young people from diverse backgrounds; equip them with life skills; empower them to succeed in life, and reward their achievements. Keeping the above aspects in view, a training workshop for Award Leaders was conducted on 20th December 2018. 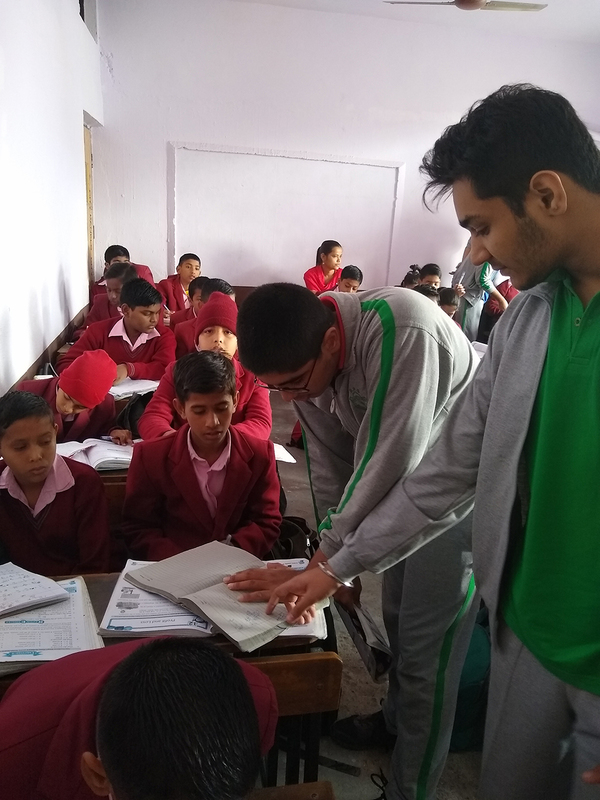 Bivujit Mukhoti (Programme Manager) and Pallavi Gill (Programme Officer) has facilitated eleven Award leaders from The Scindia School, Gwalior and Scindia Kanya Vidyalaya. The workshop was based on the introduction of Award, Philosophy of Award, Service, Skills, Physical Recreation, Adventurous Journey and Residential Project for Gold level. Under each session, the Award Leaders under training performed a few activities that made use of their imagination, skill and initiative. National Award Authority wish to thank Dr. Madhav Deo Saraswat, Principal The Scindia School, Gwalior for his hospitality and suport. More workshop pictures can be seen here. 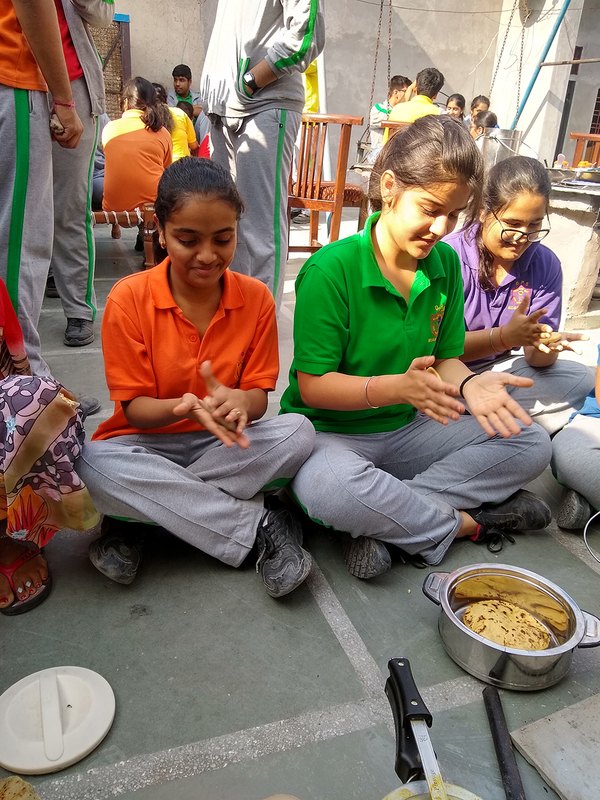 The following report has been submitted by the students of Delhi Public School, Gurugram who iterate their experience of visiting Ghamroj, Sohna Road as part of their residential project. They narrate how the project has been a life changing experience for them while acknowledging the important role that the Award Programme has played in their journey. Undertaking the Award Programme is a learning experience that enables participants to not only expand their interests by transcending classroom boundaries but also to develop new skills and gain recognition for performing extra/co-curricular activities. Moreover, a sense of responsibility and leadership quality is also developed due to the different aspects of the Programme. As part of the residential project for the Award Programme, we visited Ghamroj, Sohna Road. This project, to begin with, helped us understand the fundamental difference between city life and rural life. Understanding these basic cultural differences is what made this project one of the most interesting opportunities for experiential learning that we’ve come across. Of the myriad activities that we engaged in, a major one was teaching the students of the village school. We taught them subjects like Social Science, Science, Mathematics, Hindi and English and our experience was enriched by their patience and discipline. Messages about hygiene and cleanliness were also spread during this project. We highlighted how lack of hygiene could unleash various diseases and how those could be prevented via proper and effective measures. 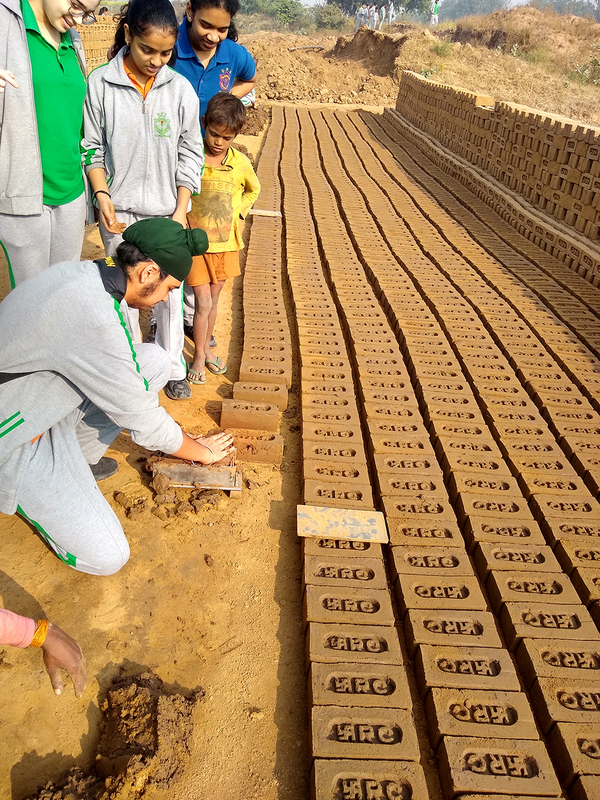 We were taken to a brick kiln to witness the making of bricks, after which we attempted the activity of brick making with the help of local people of the village. We also visited a vegetable farm where we enhanced our motor skills by plucking vegetables by their roots. We learnt what lies beyond the domains of theory by gaining practical knowledge of technical skills for agricultural development. We were then taken to the poultry farm where we understood how domestic birds such as hens, ducks and turkeys are raised. Gaining insights on the profits earned through poultry farming was another advantage associated with the visit to the poultry farm. We also interacted with members of the village council, analysing various possible issues of the village such as water supply, electricity supply, provision of education and women-centric issues. The insights that we gained through the discussions helped us scrutinize the perceptual differences between rural and urban setups. The residential project helped us foster new skills such as time management, team work, problem-solving and building our confidence through novelty. The experience that we gained in this project will always be cherished by us. However, we acknowledge the efforts of our teachers who have been pillars of support, encouragement and guidance and those of IAYP of making our journey a truly memorable one. The following report has been submitted by the Award participants of The Ardee School. They relate their experience of engaging in community service as part of the service section of the Award Programme. They narrate how their participation doubled their joy of ‘Christmas’. As young people on our way to becoming ‘young leaders’, we could feel the spirit of community service in the task that we undertook. Keeping up with the spirit of Christmas of ‘caring and sharing’, we welcomed the members of Ardee Creche and other NGOs as part of our community service for bronze and silver level. We had the opportunity of exploring new techno-savvy lessons through our assignments. New friendships were made as we sang carols together and enjoyed the nativity play. After a veritable feast served by Ardeeians which was relished by the guests, we bade them goodbye with goodie bags and warm wishes. In its stride to provides opportunities for the youth as well as growth of a community and to charge young minds with passion, a team from the National Office of IAYP comprising Mr. Bivujit Mukhoty – the Programme Manager and Ms. Pallavi Gill – the Programme Officer visited Delhi Public School, NTPC Vidyut Nagar on 17th December 2018 and Vocational Training Centre, Khandawali, Faridabad - Community Project of Lady Bamford Charitable Trust, Ballabhgarh, Faridabad, Haryana on 18th December, 2018 for student orientation workshops and Award Presentation Ceremonies. The objective was to interact with students, introduce the Award programme to the new participants and highlighting its ideology and benefits, with recognising the successful participant with the Award Certificate and Badge. The orientations commenced with an ice-breaking session followed by an introduction about the Award Programme. The team threw light on the philosophy of the Award, its journey and its framework. They, then, elaborated upon its various facets that include service, skills, physical recreation and adventure and the residential project for the Gold level of the Programme. The orientation concluded with discussions on the benefits of the Award Programme and its power to bring about a difference in the lives of young people. Orientation at Delhi Public School, NTPC, Vidyut Nagar was attended by over 200 students. After the orientation, an Award Presentation Ceremony was organised in which nine successful participants achieved their certificates and badges. Mr K K Sharma (Principal) along with Ashish Choudhary (Award Leader) was also present during the ceremony. Click here for photos. Orientation at Vocational Training Centre, Khandawali, Faridabad was attended by over 60 participants. Apart from the other aspects of the Programme, the team also briefed them about the upcoming Adventurous Journey. Tauqeer Ahmed (Award Leader), Sabbar Tausif (State Manager LBCT), Vandana Kohli and Nishat Akhtar (Location Coordinator) were also present during the orientation. After the Orientation, an Award presentation ceremony was organised, in which nine participants received their Certificates and Badges from Nishar Ahmed (Sarpanch, Khandawali). Click here for photos. Such workshops are stepping stones in IAYP’s stride to build aware and able young people who can make productive use of their capabilities. Charged with passion and motivated by the vision to show that young hands can do wonders that the world cannot fathom, the Award participants of Pt. Uma Dutt Public School, along with the Award leaders, Dr. Pankaj Vashishtha and Gufran Khan visited Machkund, an ancient sacred place in Dholpur city and offered their services by launching a cleanliness campaign. The Award participants, together with their mentors, have made volunteering to clean 10 square kilometre wide premises a part of their Service section of the Award Programme. The purpose of this cleanliness drive was to create awareness among the villages regarding cleanliness and to highlight the ill effects of poor hygiene. Such a pioneering effort by the Award participants convinced the inhabitants to not use polythene bags in their daily routine and ensure cleanliness in their respective areas. Initiatives like these not only fortify IAYP’s philosophy and values but also strengthen the individuals who choose to spread its values far and wide. In its stride to be an all-inclusive platform that provides opportunities for individuals as well as growth of a community and to charge young minds with passion, a team from the National Office of IAYP comprising Mr. Bivujit Mukhoty – the Programme Manager and Ms. Pallavi Gill – the Programme Officer visited Titiksha Public School, Rohini, Delhi, on 28th November, 2018 for a student orientation workshop. Its objective was to interact with students and introduce the Award programme, highlighting its ideology and benefits. The orientation commenced with an ice-breaking session, followed by an introduction about the Award Programme. The team threw light on the philosophy of the Award, its journey and its framework. They then elaborated upon its various facets that include Service, Skills, Physical Recreation and Adventure and the Residential Project for the Gold level of the Programme. The orientation concluded with discussions on the benefits of the Award Programme and its power to bring about a difference in the lives of young people.